An apartment move comes with certain challenges, and having a professional team of New Jersey apartment movers on your side can help take the stress out of your moving process. Our award-winning company Booth Movers has over 70 years of experience providing the highest-level New Jersey apartment moving services in the industry. As a trusted agent for Atlas Van Lines, our experienced team of moving professionals has access to a global network of resources that will make your next apartment move a seamless process! Professional service and quality care are the values that Booth has built its reputation on, and we are dedicated to making every customer feel comfortable throughout the moving process. As a proud member of the American Moving & Storage Association and the New Jersey Warehousemen & Movers Association, we are committed to both our customers and our profession. From free, in-home estimates to exceptional customer service, our New Jersey apartment moving company will be with you every step of the way! No matter where life takes you, you deserve to work with the best New Jersey apartment movers! As the most trusted name in Bergen County apartment moving companies, you can rest assured that your household belongings will be handled with care and professionalism. 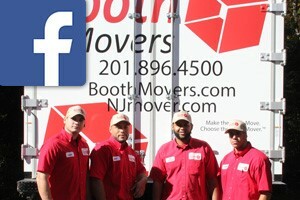 Local Movers – For relocations in your hometown area, there is nobody that knows New Jersey better than Booth Movers! Long Distance – Long distance moves require a high level of care and coordination, and our New Jersey moving company can handle all the details for you. Interstate Moving – When moving to a new state, Booth Movers has access to the professional resources you need for a smooth transition. International Moving – Booth Movers has completed thousands of relocations around the globe, and there is no better choice for a full service international moving company. Full Service Moving – Our customizable moving and storage services will provide you with the highest quality care at a price you can afford. If you would like more information on how Booth Movers can help you with your next New Jersey apartment move, just give us a call today! If you are short on time, you can also fill out our online quote form to request your free, no-obligation estimate!